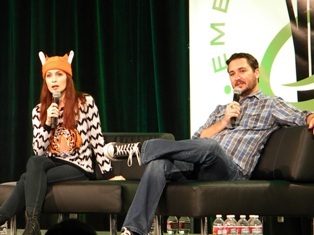 Wil Wheaton and Felicia Day took the stage March 3 at Emerald City Comicon 2013 (in Seattle) for a joint panel. While both are known for their various film and television roles, they have firmly established themselves in the world of online programs. Day created her own online network, Geek & Sundry, where she’s active in producing, writing, and acting in online shows. Boasting a substantial cult following, The Guild, about a group of online gamers, was Day’s first foray into the world of online programming. Wheaton, an enthusiastic supporter of Geek & Sundry, hosts his own show, Tabletop, on the network. Both actors are champions of the gaming world, something that was discussed at length. Tabletop explores Wheaton’s love of tabletop gaming. 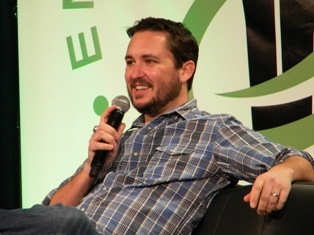 While Wheaton may still be best known for his role as Wesley Crusher on Star Trek: The Next Generation, his career following the show was the main focus of the panel. In addition to his work with Geek & Sundry, Wheaton is well known in the blogosphere. He keeps up a regular blog, wilwheaton.net (aka WWdN), and is a regular poster on Twitter (over two million followers) and Tumblr. He writes about anything that strikes him, including personal anecdotes about his family, his career, and his love of making beer. He has published several books revolving around his life both on and off screen. Among the most interesting things about Wheaton is his candor regarding his successes and failures. In his writings, he has chronicled disappointments in his career and mixed feelings about his time on Star Trek (despite his continued love for the show). During the panel, he said he quit acting shortly after leaving the series in 1991 to work as a computer product developer (he was involved in developing the Video Toaster). He spoke of feeling as though he had lost his identity and even “hated himself” for a time. In one of the more poignant moments of the panel, he spoke about making the decision to reclaim success as an actor, only to find more failure. He eventually discovered a love for writing, which he has pursued ever since. 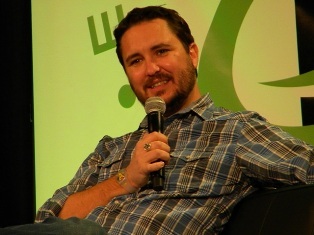 In recent years he has found success in the acting world, appearing as the “Evil Wil Wheaton” on the Big Bang Theory and has had recurring roles in shows like Eureka and Leverage. Felicia Day, who has also appeared on Eureka as well as Buffy the Vampire Slayer, discussed the challenges of building Geek & Sundry from scratch. The history of her groundbreaking web-based series The Guild is fascinating. Day has struggled to successfully maintain creative control and ownership of the series, which has been recognized with multiple wins at the Streamy Awards and IAWTV Awards. Wheaton and Day displayed great chemistry on stage together, with their friendship and mutual admiration easy to see. They both graciously answered a variety of audience questions, including one young fan’s request for their thoughts on the growing number of female gamers and geeks. Wheaton received a rousing ovation as he injected a little R-rated language directed at the snobs in the gaming world who continue to ostracize female participants.